Garage: "Garage: 2 Car Attached, 2 Car Detached; Parking Space(s): 6"
Lot Size: 12415sq. ft. 39ft x 160ft "Cul-De-Sac"
Welcome to 610 Braemar Place in the desirable area of Briarwood - Close proximity to the lake, Wildwood Golf Course and shopping!\r\nThis is a one owner custom built home with 2060 sq ft and features three bedrooms, four bathrooms, vaulted ceiling in the living room/dining room with South-facing windows and gleaming hardwood floors.\r\nGreat kitchen with lots of cabinets, a pantry and an island with quartz countertops, under cabinet lighting overlooking the dinette and main floor family room with fireplace.\r\nMain floor laundry and half bath. Open staircase to the upper level three bedrooms, master bedroom with a walk-in closet and full bathroom with soaker tub and stand-alone shower.\r\nEnjoy the large 1/3 acre lot with mature trees and vinyl fenced yard. 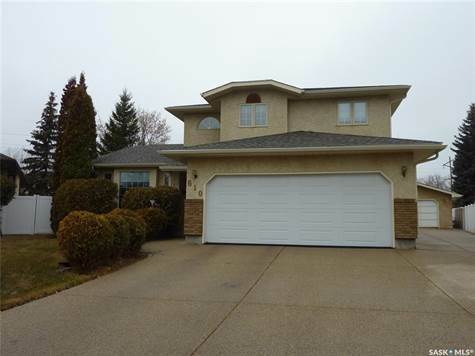 Double Detached garage AND attached Double garage!\r\nCall to view this mint condition home!